At least from now on you wont get a youtube link of this song in your facebook message or wall post ever again, cos Rebecca Black is taking down this song from youtube! 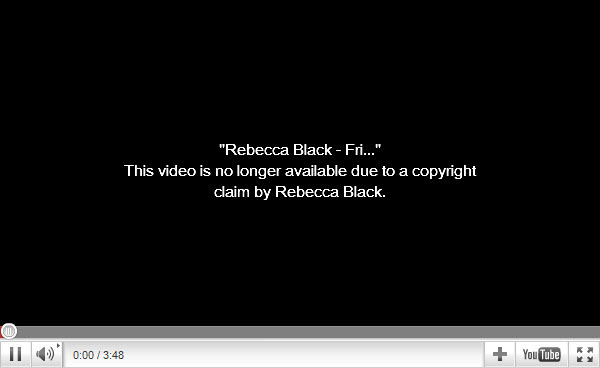 If you visit the original youtube link, the copyright takedown notice message is what you will see (as shown above), and interestingly was claimed by Rebecca Black! 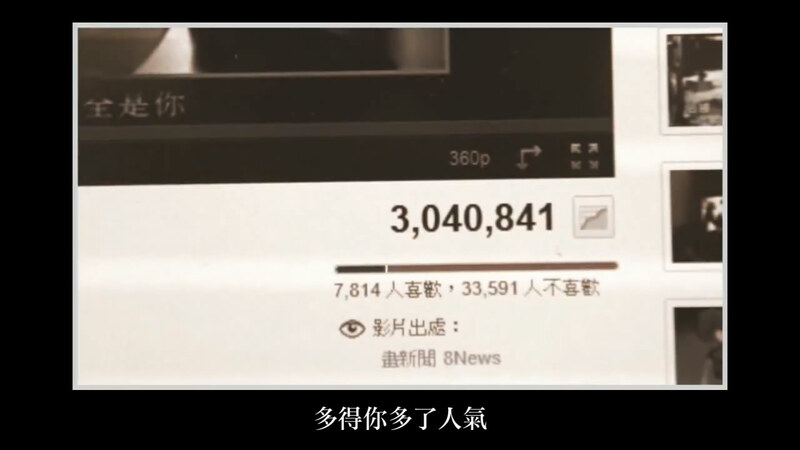 From reports online seems that this is because of ArkMusic is shameless to try to “rent” the song on youtube for FREAKING $2.99! WHO THE HELL pay that kind of money to listen to this super awesome song?!? And guess its not a part of the agreement, and ark music being too moooney minded, forced Rebecca Black to submit a copyright takedown. Well done Rebecca Black, you just save all human mankind.